off the bike meetings & group rides with your coach. A Training Peaks basic account individualised training programme. Detailed analysis of power and heart rate data. Regular communication to keep your training on track. Paid upfront: $1299 for 13 weeks including the start up. Thereafter 13 weeks are $1099. Weekly: $95 weekly + $200 start up. At least a weekly group training ride with Paul. Paid upfront: $1099 for 13 weeks including the start up. Thereafter 13 weeks are $899. Weekly: $75 weekly + $200 start up. 3-weekly 30 minute phone/skype mentor calls. Paid upfront: $849* for 13 weeks including the start up. Thereafter the next 13 weeks are $699. Weekly: $59 weekly + $150 start up. A weekly group training ride with Paul. 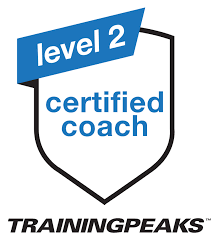 Detailed analysis of power and heart rate data – Paul is a Level 2 certified Training Peaks Coach. Paid upfront: $650 for 13 weeks including the start up. Thereafter the next 13 weeks are $550. Weekly: $49 weekly + $100 start up.